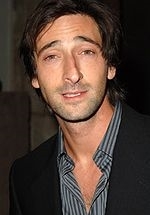 Adrien Brody is an Oscar-winning American actor best known for his lead role in the movie The Pianist (2002). He was born in New York to Elliot Brody (a retired history professor) and Sylvia Plachy (a photojournalist). His father is Jewish and his mother, who was born in Hungary, was raised Catholic, although Brody's maternal grandmother was also Jewish. Brody attended New York's Fiorello H. LaGuardia High School of Music & Art and Performing Arts. His parents enrolled him in acting classes to distance him from the dangerous kids with whom he associated. In 1992, Brody was seriously hurt in a motorcycle accident in which he flew over a car and crashed feet-first into a crosswalk. He spent months recuperating. An avid daredevil, he has broken his nose several times doing off-the-wall stunts. Brody hovered on the brink of stardom, receiving praise for his roles in Spike Lee's Summer of Sam and Terrence Malick's The Thin Red Line. He finally received widespread recognition when he was cast as the lead in Roman Polanski's The Pianist (2002). The role won him an Academy Award for Best Actor, the youngest actor ever to win the award. To prepare for the role, Brody withdrew for months, gave up his apartment and his car, learned how to play Chopin on the piano, and lost 13 kg (29 lb). The stress of filming also reportedly led him to break up with his then long-term girlfriend. He played Noah Percy, a mentally disabled young man in the movie The Village by M. Night Shyamalan, shell-shocked war veteran Jack Starks in The Jacet, and writer Jack Driscoll, in the 2005 King Kong remake by Peter Jackson. He has also appeared in Diet Coke commercials. Some critics have argued Brody's choices of roles do not reflect a sufficient maturity for an Oscar winner. Brody for his part has said he simply chooses roles that "look like fun."